I love this coaster! The first coaster Ive ever ridden was Alpengeist... This was second! I was sooo nervous. Even after riding Alpengeist! I love this ride though...... Its Awesome! I love this coaster. Great air time. Good drops. Nice long ride. Seem here comes a little temporal bias with my rating - I give it a 9 and Nitro a 10. Only problem, AC opened in 99 and Nitro in 2001. 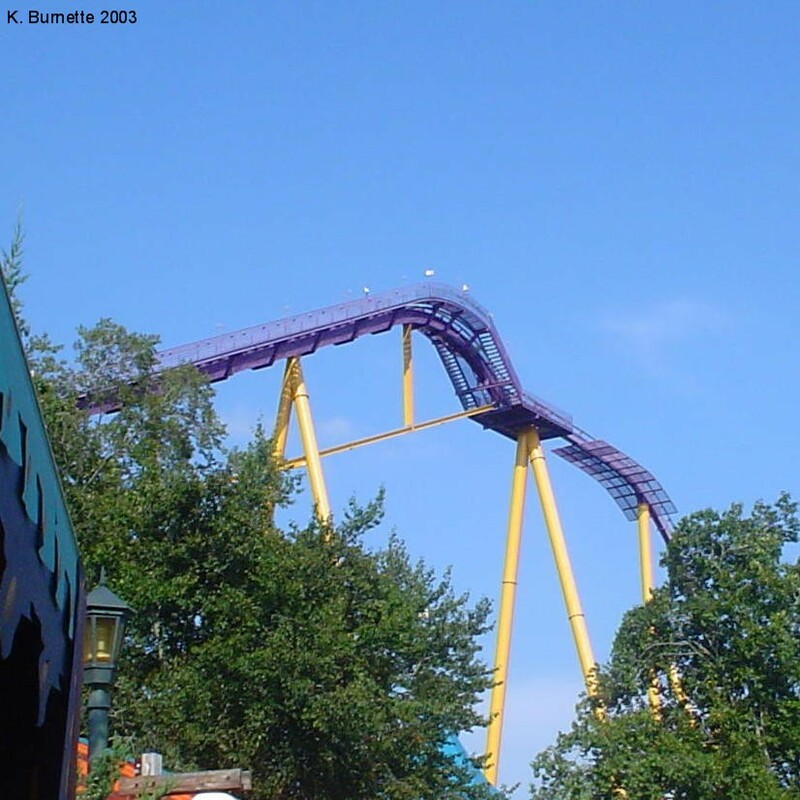 I happened to ride Nitro at SFGA in July 2001 and then ride AC in September. So, I had already experienced the power of Nitro as it "explodes" (as the TV ads said) and then was SLIGHTLY let down by AC. But, one could argue that Nitro should be an advance over AC because it was built later. Well, I wouldnt necessarily agree with that. B&M built Raptor in 94 and Talon in 01 and nobody expected Talon to be better (and it isnt) so all Im trying to say here is that later doesnt necessitate better, but it does open the window for development. Anyway - great B&M speed coaster, ride it in the back seat and also ride Nitro. Theyre BOTH great, I just wanted to give this one the 9 and not the 10 because Nitro is a touch better (in my opinion of course). I love this ride!!!! Great drop and layout as well as tons of airtime. Absolutely great! This coaster has a great veiw and TONS of air time. I love the air time Apollos Chariot provides. Especially the turn over the water. I definitely felt like I was flying over the edge. Excellent job at designing this B&M! This is one incredible coaster. With a first drop of 207 (or is it 208... never can remember those things...) feet and speeds around 70mph, the speed on this thing never leaves up. Even the drop off of the mid course breaks gives a blast of “air”. Intense but not painful, loaded with air and with B&M’s trademark smoothness, this is truly one great piece of engineering. 2nd best roller coaster in Busch Gardens Williamsburg in my opinion, but Alpengeist only beats it by a TINY amount. Be sure to keep your hands up at all times. 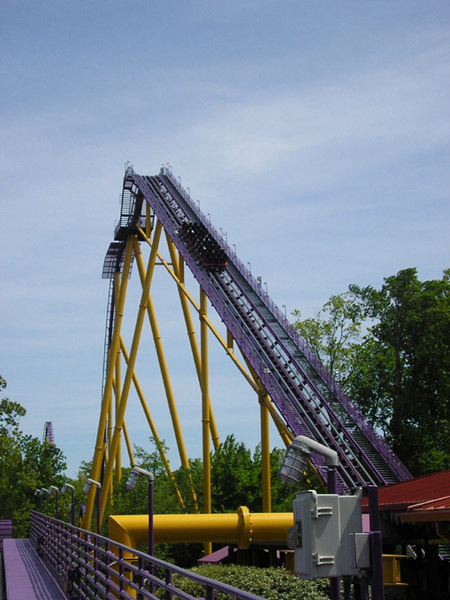 People who love having their shoulders free to move will love Apollos Chariot. Smooth, good airtime, beautiful scenery, fun as hell.